The Wizarding World of Harry Potter was everything I hoped it would be. From the Castle to Ollivander’s it is like stepping into the magical world. My absolute favorite part was eating lunch at the Three Broomsticks. The food was amazing and of course there was Butterbeer. The Frozen Butterbeer was my favorite thing in the entire park and I couldn’t get it enough of it. I wanted to stop every time we passed a cart. When I got home, I got to work trying to replicate the recipe, I came up with a lot of different versions and finally got one I felt was close. I have including two recipes below, the one that is more complicated is more authentic but it does take some baby sitting. If you want taste in less time, try the easy recipe! Refrigerate the soda overnight. Pour the entire bottle of cream soda into a 9×13 baking dish and place it in the freezer. Freeze for 30 minutes, pull the dish out and break up the ice and then freeze again. Repeat the process for two hours until you have the perfect slushy soda. Whip the heavy cream until soft peaks start to form. Add 1/2 C of Butterscotch topping and blend until smooth. Combine the slushy soda and cream in layers in the glass for the perfect butterscotch perfection. Freeze 2/3 of the soda in ice cube trays. Add ice cubes, the last third of the soda to a blender and blend until slushy. Whip the heavy cream with the butterscotch topping until soft peaks form. 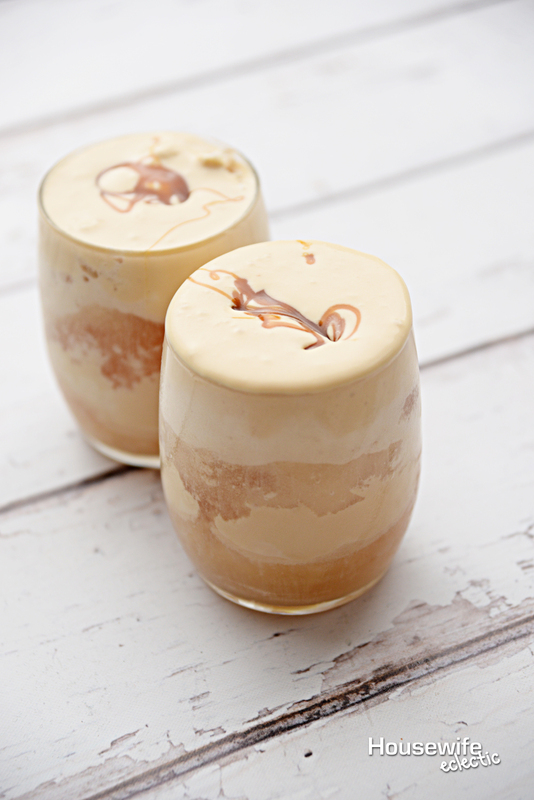 Add the slushy to a cup and top with the butterscotch whipped cream. Have you ever been to the Wizarding World of Harry Potter? Which kind of Butterbeer is you favorite? Unfortunately I haven’t been to Wizarding World just yet. And quite honestly I fell off the Harry Potter wagon and have no clue what butter beer is, but this has me intrigued! This looks delish! 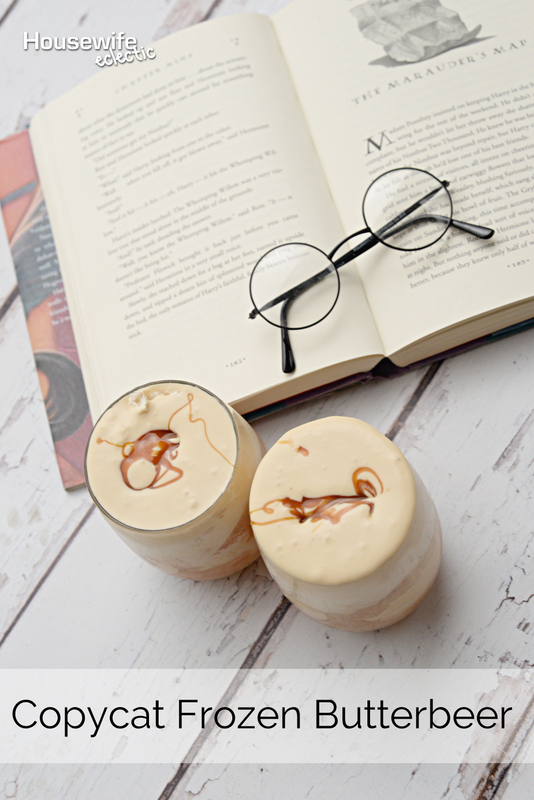 I’ve never read a Harry Potter book, but I keep seeing all these butterbeer recipes. They sound so yummy. Yours looks wonderful, and I would love to have one right now (for breakfast!). I can remember making butter beer all the time after the Harry Potter movies came out. Always a big hit for any occasion. Kinds got over it and didn’t make it anymore. Might have to try it again. I love butterbeer! I can’t wait to make this at home. My kids are going to go crazy for this recipe. OMG! I’ve never had butterbeer but I’d love it now that I know it has cream soda in it! I’ll give it a try. I never got into the whole Harry Potter thing, but the Butter Beer looks so good. My 13 year old son is a Harry Potter Fan, so I think we will make these together. He loves cream soda. This is a perfect drink for the summertime. It’s cold refreshing and my entire family would love this. I think we may make this drink with our movie night tonight. 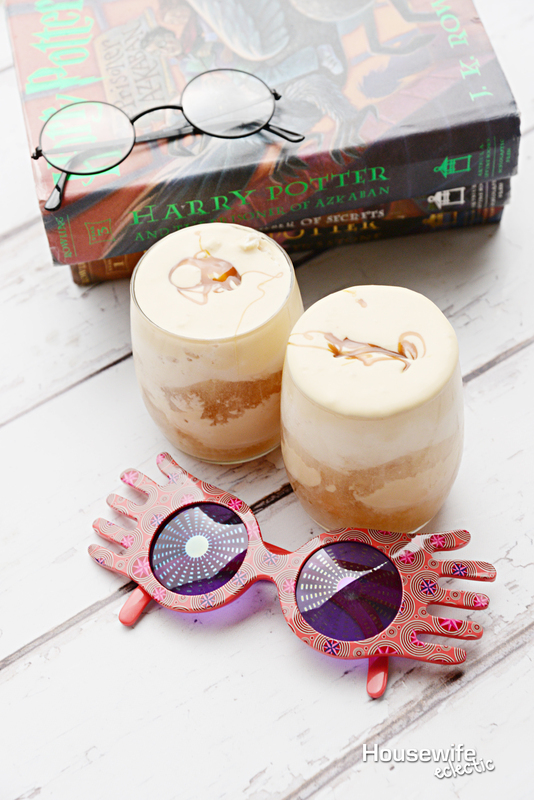 I had tried making butter beer a long time ago when only the first couple of books were out. It was so delicious and I bet the frozen one is better! Oh how I wish I could teleport to hogsmeade right now. This is the next best thing! I have never heard of butterball until now. Lol I must not have been paying close attention to the Harry Potter movies. This sounds delicious though! I’ve tried making this before. Ii’s SO good. This recipe sounds easier than mine! 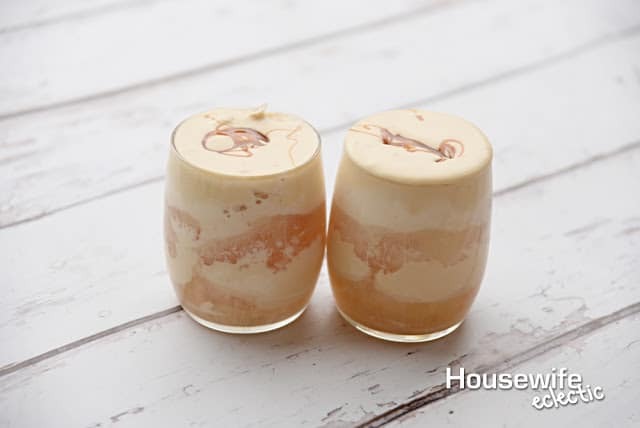 I haven’t been to The Wizarding World of Harry Potter, but butter beer sounds amazing. I would definitely make the easy version. I think my husband would love this. I am not good in creating this kind of treat but I am learning though other people like you so thank you. Ack! My adult son will tease me that I don’t know what Butter Beer is because I’m not that far in the series yet. And i’ll say umm, yeah, duh, beer made with butter…but why are they having kids drink it. Now I am astonished because it never occurred to me that it’s whipped butterscotch!! Wow! This is looking very delicious and i am looking forward to try this one at home .Please share some more latest posts in Future.Thank You!